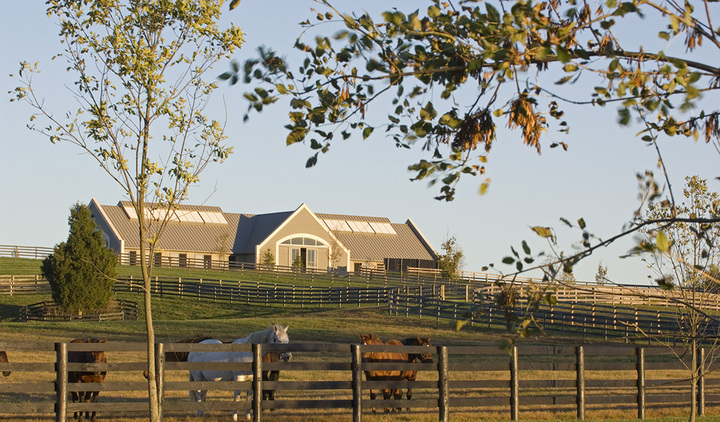 The development of a thoroughbred farm “from the ground up” is a rare and unique opportunity. CMW was hired to take on just this opportunity for a 242 acre tract of rolling land west of Versailles, Kentucky. 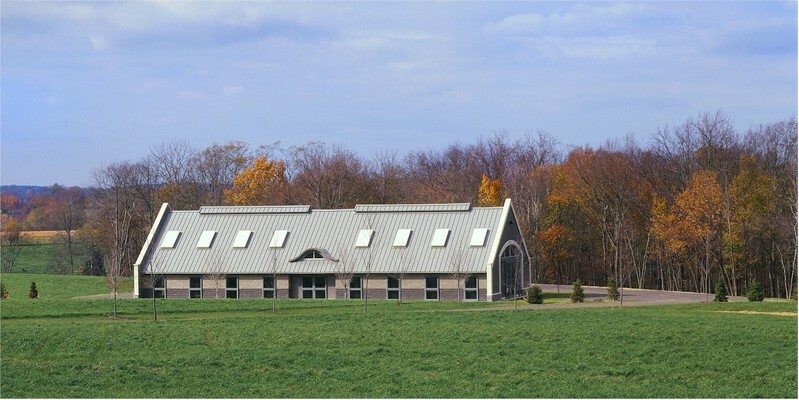 The design process began with the masterplanning of the property as the site for three horse barns, two residences, a farm equipment and storage building, horse paddocks and pastures, over 2 miles of farm road and infrastructure, and a farm pond with dam. 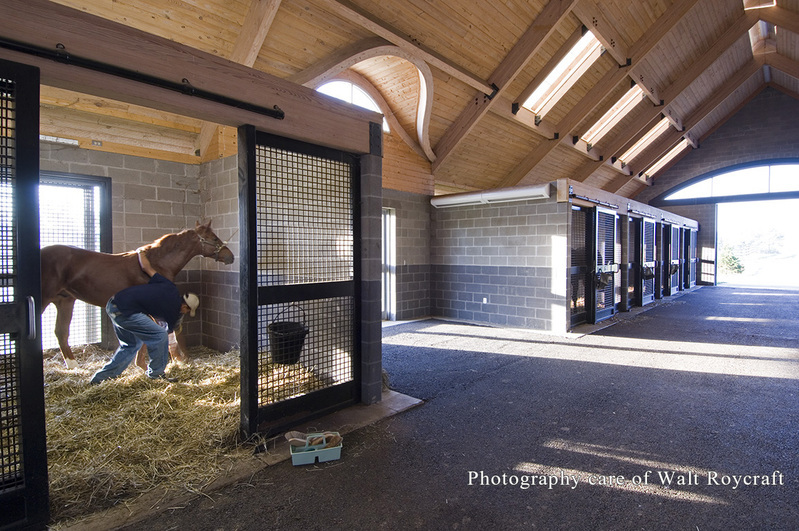 The barns provide a total of 52 stalls for the owner’s thoroughbred horses, including one barn with specially designed foaling stalls. 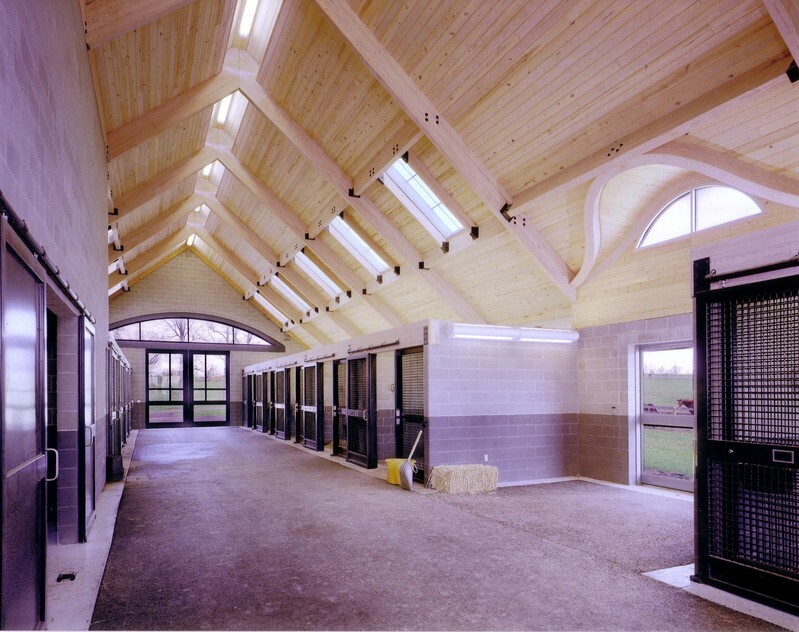 Areas within each of the barns provide space for hay and feed storage, wash stalls, and building services. 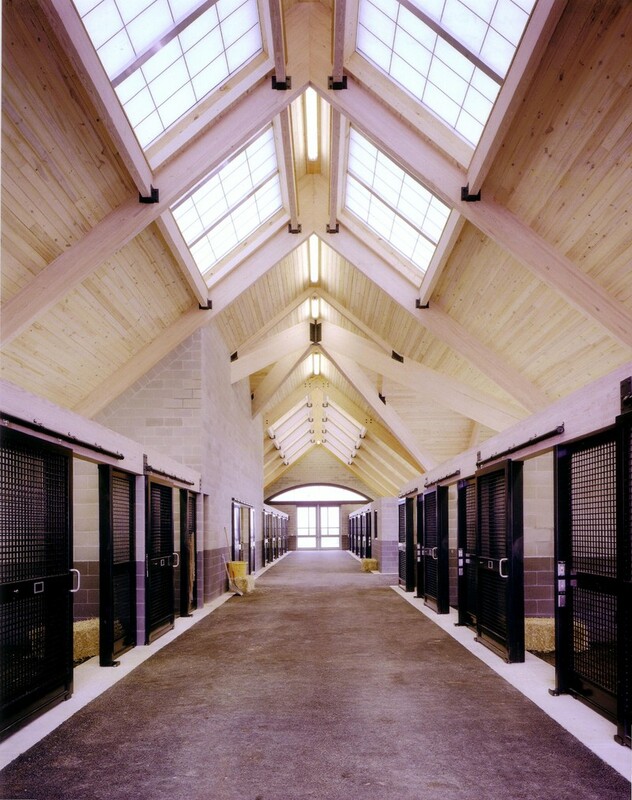 Each barn is uniquely designed to maximize ventilation and natural lighting to each of the stalls and aisle-ways. 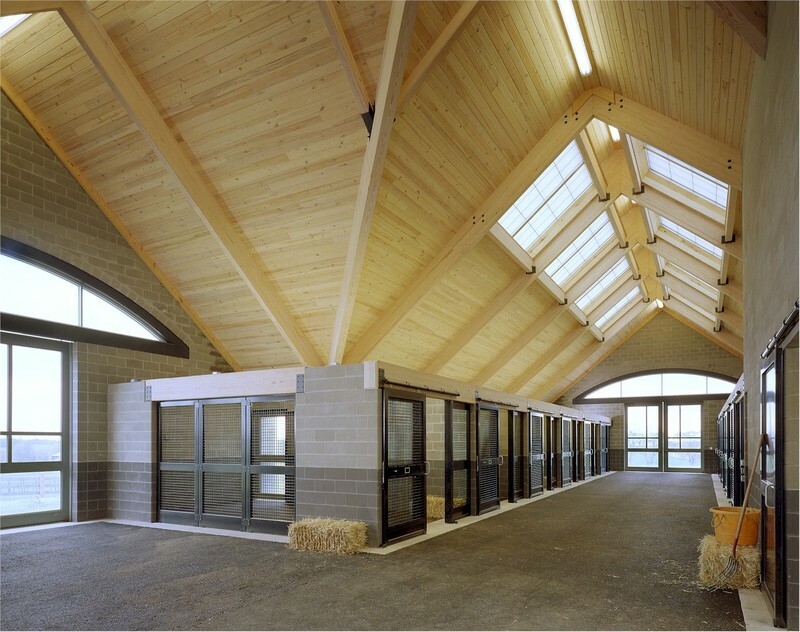 Ease of maintenance, durability, and clean detailing were key design criteria for each of the farm buildings. 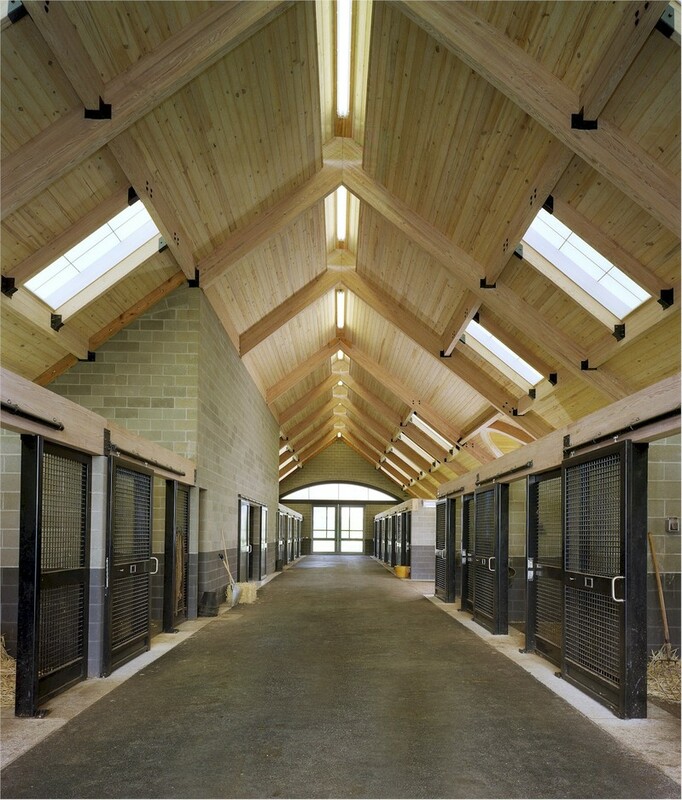 CMW also provided architectural and interior design services and furnishings for a 10,000 square foot custom residence for the owner that overlooks the farm and paddock areas. The house includes a gallery for the owner’s art collection, an office wing, and a specially design in-home theater. A smaller Guest residence and new pond have also been included in the overall project. 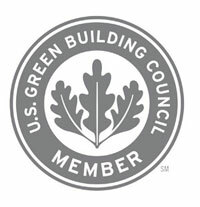 The design services provided by CMW include the masterplanning of the property, architectural design and engineering of all buildings, roads site utilities and infrastructure, site design and engineering, and landscape architecture. 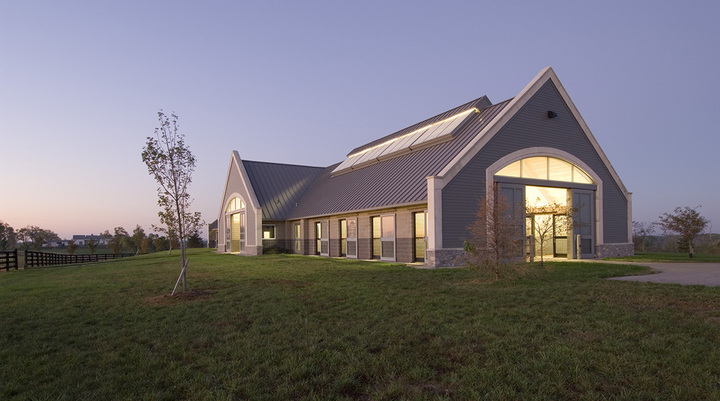 The farm residence included an emergency power supply system to support nearly all functions including HVAC system, the majority of receptacles, kitchen loads, emergency/egress lighting, communication systems and fire pump. The emergency power supply included an exterior, 250kw diesel generator with an exterior enclosure, sub-base fuel storage and automatic transfer switches.